Being the same type as Batman doesn’t necessarily guarantee the title of archenemy but he still makes for a great villain, no matter the medium. Doctor Doom may be the INTJ stereotype and Walter White one of the best written INTJs, but Scarecrow’s place is the physical manifestation of an INTJ dark side is solidified in his bizarre brand of manipulation and control, never knowing when to quit and always having an exit strategy ready…until the dark knight gets his hands on him of course. Batman has been written as the perfect human in many ways- physically and mentally balanced with his only issue being that he lacks any emotion it takes to allow a healthy romantic relationship to develop. Aw, poor billionaire. But Dr. Jonathan Crane is written as a bit more realistic version of an INTJ (I mean that loosely, work with me here) in that his mind is brilliant if not a bit wacko while the rest of his person is a bit…frail. Emotionally, Jonathan Crane has been dead for a long time and physically…well, physically we’ll just say that in a fist fight with the B-Man, the B-Man doesn’t lose. The nursery rhymes keep Bruce from feeling guilty from all the broken bones he inflicts. And what does any of this say about the character of the INTJ? Surely not all of them are creepy freaks with their only goal in mind to molest your precious mind and leave you a quivering mess, right? Right…? Sort of, yeah. Like any Batman villains that can be typed. the Scarecrow is the negative side of an INTJ to a tee. INTJs that fuel their unhealthy traits are found to be (among other things) strange and unsociable, demeaning in their attitude towards others, and a human puppeteer of sorts. Not in that every plan or idea they have involves them flawlessly controlling those around them in some grand scheme to rule the world a la Doom, but in the sense that everything they do and say is geared toward manipulating you in some way, even if it’s just to make you feel inferior. Petty, right? Just ignore him, the effects will wear off after several hours. The INTJ’s dominant function is Ni which deals with getting a plan together for the long term. It recognizes patterns in everything, making it easy to prepare for the future. It’s why Keirsey nicknamed them the “Mastermind” which is an unfair moniker as far as the rest of us are concerned. Every step the INTJ thinks of also comes with several steps following that. If the scenario in their mind doesn’t end in a way that they can foresee as beneficial, then they don’t even take the first step. And it’s this trait that Crane shares with Batman that may be why he gets the crap beaten out of him so often. 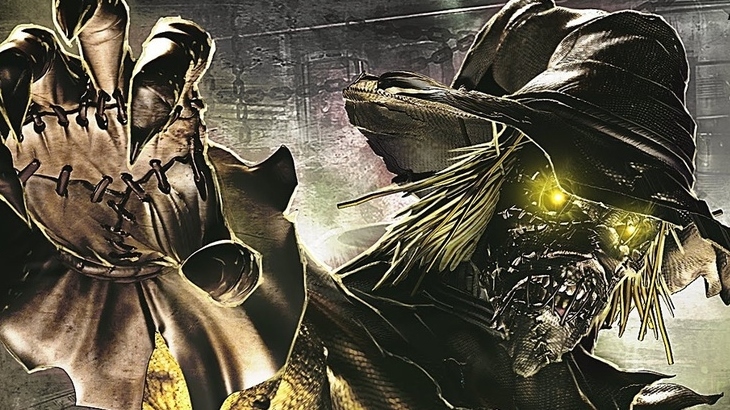 While the Joker is severely unpredictable to the world’s greatest detective and Bane is the equal Batman never wanted, The Scarecrow’s plans usually involve the tried-and-true method of fear gas and breaking his enemies down to a slobbering mess. 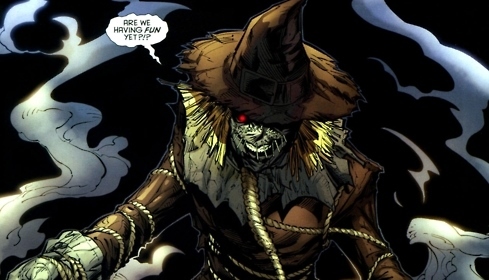 But once Bats figures this out, it’s game over for Scarecrow, who isn’t used to dealing with those with indomitable will and the same strategy of inducing fear in his enemies. And what happens to be the Scarecrow’s worst nightmare? You guessed it- bats. So it could be that while the Crane is a genius and plans intensive, he fails to see past the few extra steps Batman takes to ensure victory. Many became familiar with the Scarecrow and his bad case of gas through Nolan’s first installment in The Dark Knight trilogy, Batman Begins. Here, we’re shown a pretty true-to-the-comics origin story in terms of character with Crane and his love of control through the use of manipulation and hallucinogen. Let’s face it- Intuitives are just nerds in one way or another. And though the extraverted intuitives may have some hope in the social world knowing that looks and smoothly verbalizing thoughts and ideas can be helpful, introverted intuitives are the kings and queens of strange. In the real world and fictional, the way they can best overcome any issue is through cunning and intellect. All that being said, the Scarecrow is the perfect INTJ villain- he’s not the generic mastermind that INTJs get so boringly placed as in fiction, and even though he’s not built like Bane or Killer Croc, his storyarcs with Batman always leave readers feeling uneasy due to Crane’s way of getting in every member of the bat family’s heads. Oh and what coincidental timing- the gameplay trailer for the new Arkham Knight game just came out, with yours truly taking on a pretty big role which could be even cooler than his time in Asylum. About time he got his due. Batman Begins was cool and I liked that he popped up in the sequels but getting tazed in the face by Katie Holmes? Not cool, man. Here’s the rest of the Batman Clan. This entry was posted on 06/10/2014 at 4:36 am and is filed under MBTI Rationals, MBTI Stuff with tags batman, batman begins, intj, mbti in fiction, scarecrow. You can follow any responses to this entry through the RSS 2.0 feed. You can leave a response, or trackback from your own site.